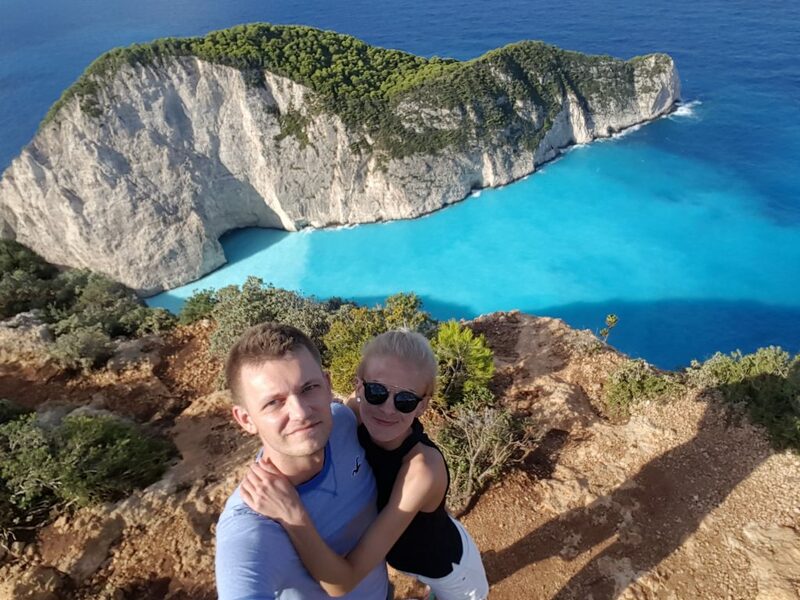 Before we start talking about all the amazing places and things to do in Zakynthos, it is worth to mention a few words about the beautiful country – GREECE. 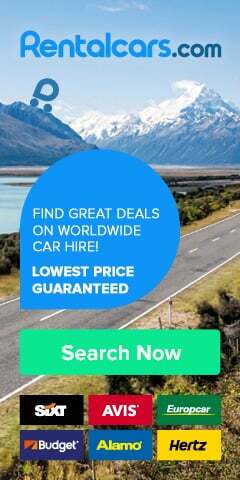 It is home to some of the most interesting histories and cultures in the world. Even today, the Greek myths and legends influence so much of our entertainment. We still reference them in common phrases, right? 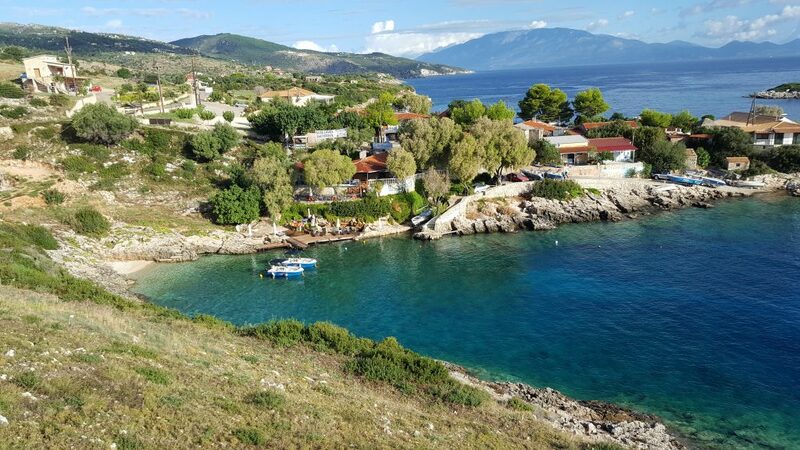 The diverse landscape allows the imagination to run wild as you peer over steeps hills, climb massive mountains, and take idle strolls along the vast coastline. 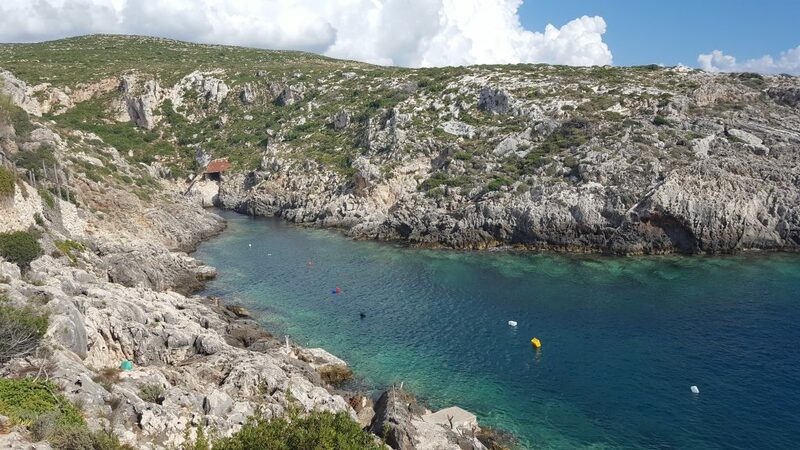 And less than 300 of them are inhabited – not only making it a unique part of Europe but also allowing for some seriously gorgeous nature to thrive on the islands. Home to some of the best award-winning beaches in Europe, it’s ideal as a sun holiday destination! 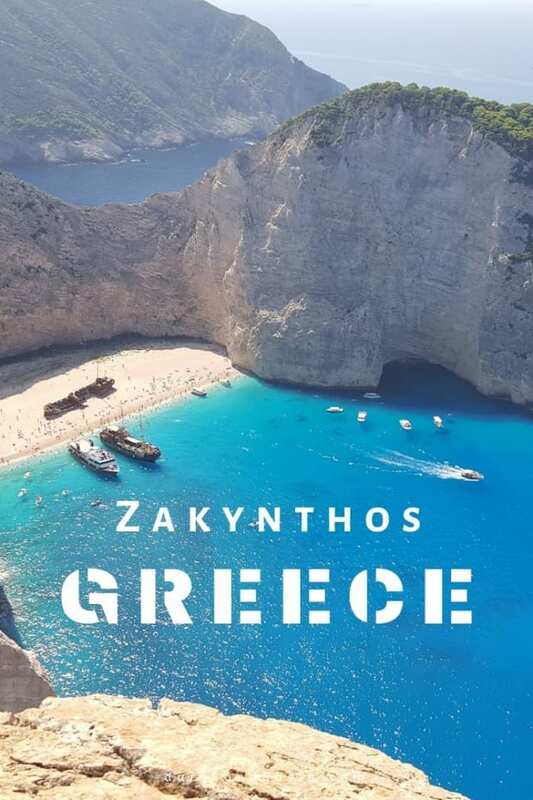 One of the most interesting of the Greek islands is Zakynthos (also known as Zante to the British). 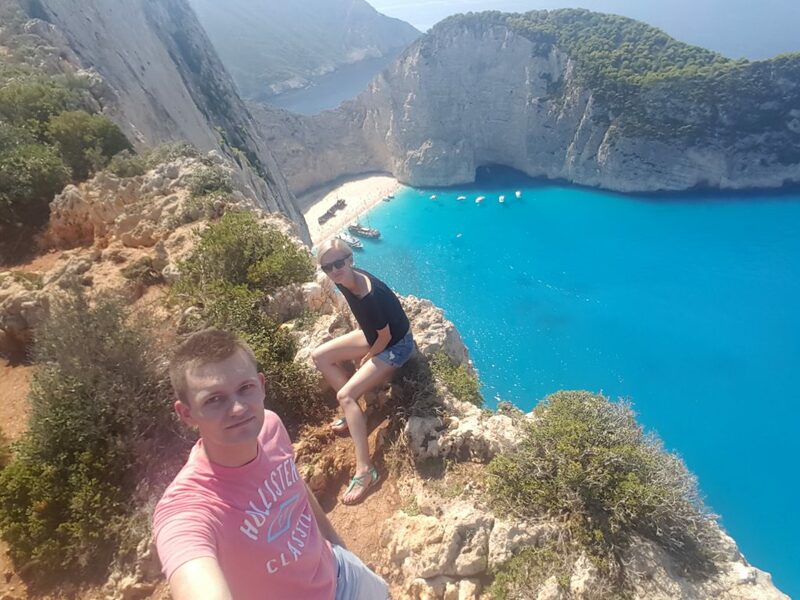 Greece and Zakynthos (stunning European island) have so much to offer – there are so many stunning things to do in Zakynthos! 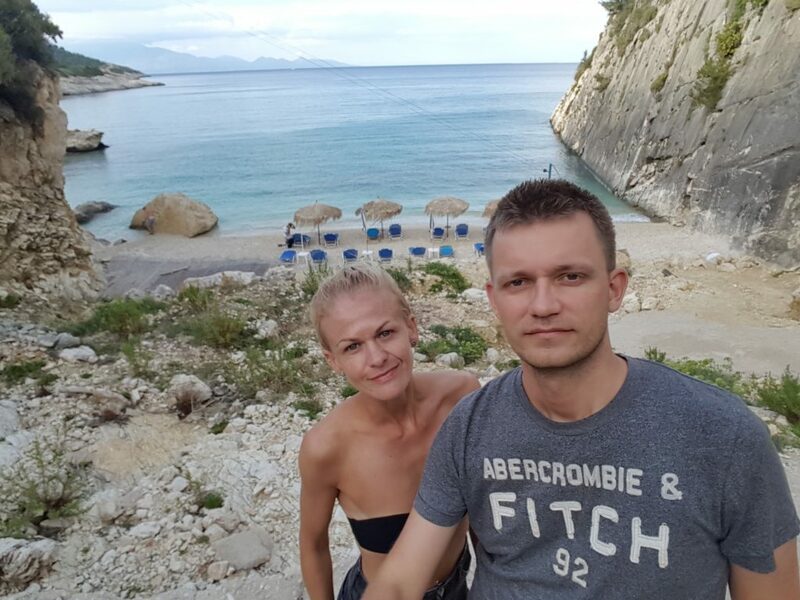 It is a place that we have certainly loved when visiting as a couple on our September holiday. 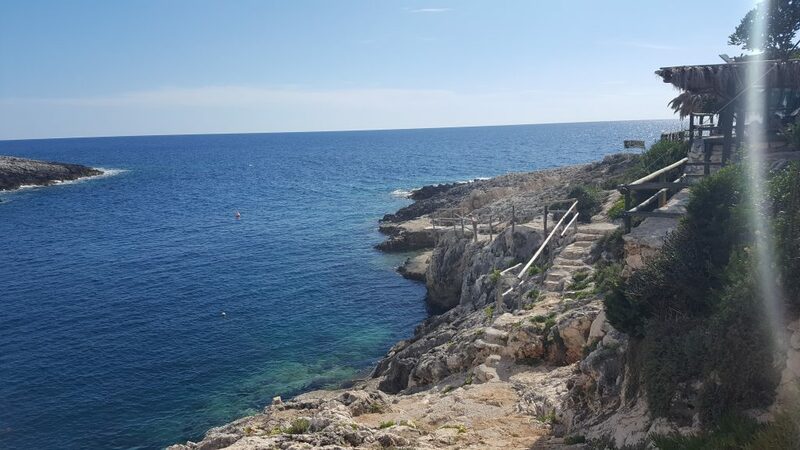 This particular beach is also known as Shipwreck Beach is an exposed cove that is also sometimes nicknamed Smugglers Cove since its tucked away location was perfect for sneaking in goods in the dead of night. 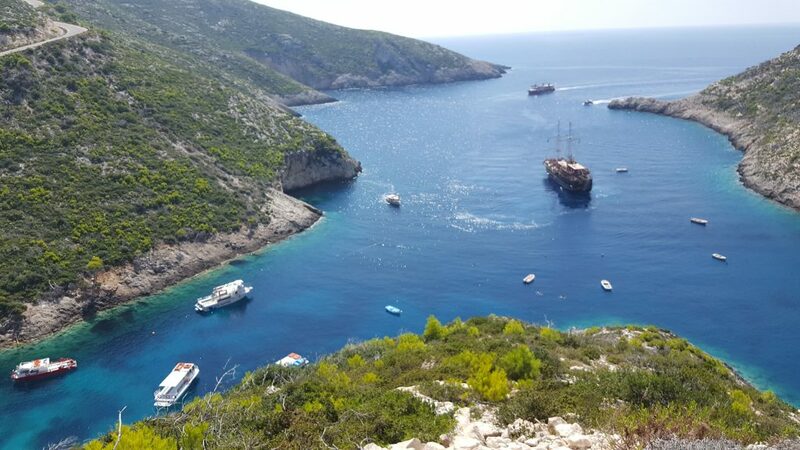 It used to be called Agios Georgios but was renamed in 1980 after a freighter named the MV Panagiotis ran aground on the shore of the beach while trying to escape from the Greek navy as the ship was smuggling goods such as cigarettes and alcohol. The beach, as well as the surrounding area, is truly spectacular! 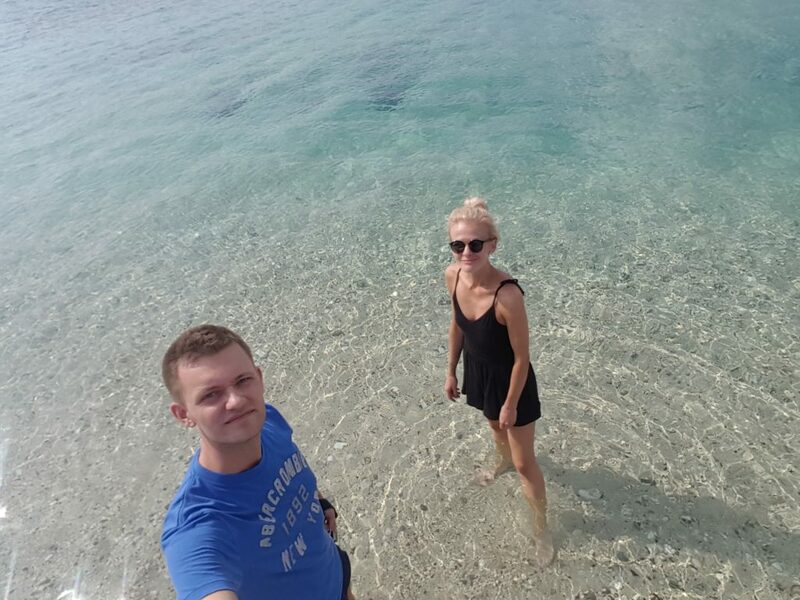 It is a perfect place to take a few photos together while you are on your trip. While you can visit the ship up-close, there is also an amazing view that you have to take advantage of. 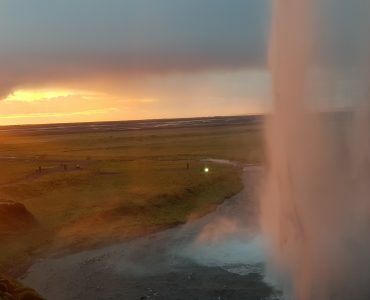 The sight isn’t just glorious, it is also incredibly romantic – for many people, this is the most magical and romantic place in Europe. Midday is the perfect time to visit if you want to witness the water sparkling as the sun hits it. The colour of the water is just out of the world! 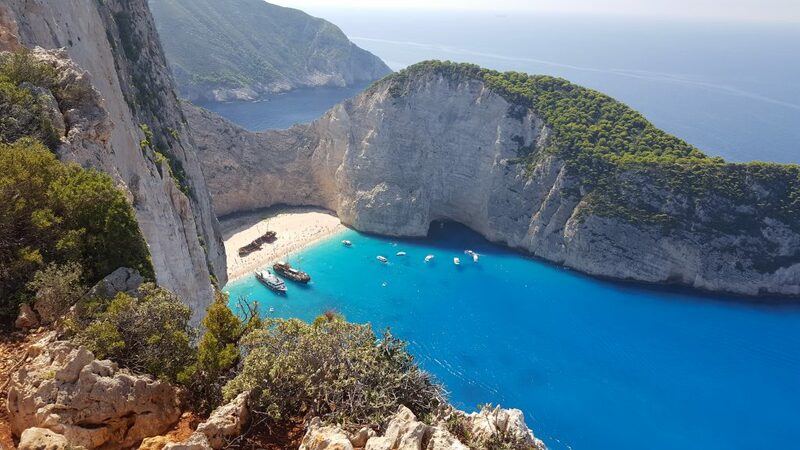 Navagio Beach is probably the most recognisable picture of Zakynthos – it’s one of the best places to see while visiting Zakynthos! 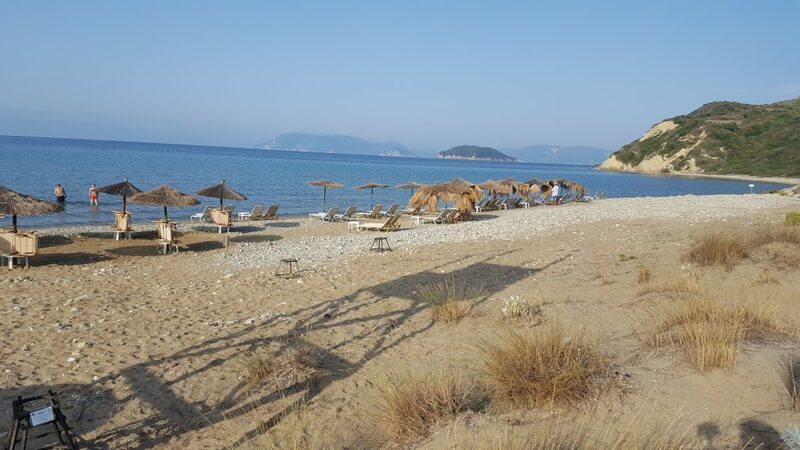 While on Zakynthos, you will likely be visiting as many beaches as possible. 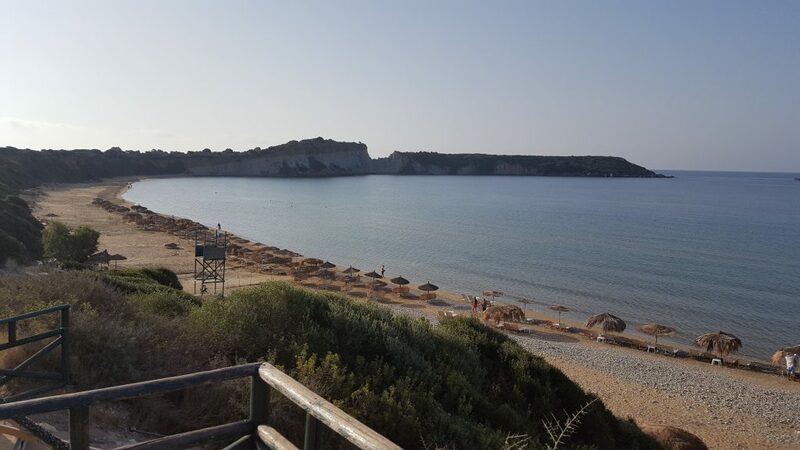 So we have another of Zakynthos’ wonders for you to take a trip to – the Xigia beach! At first, you might notice that the water in Xigia has both a strange colour – as well as being cloudy with an almost milky coating. This is because it has a high concentration of sulphur. 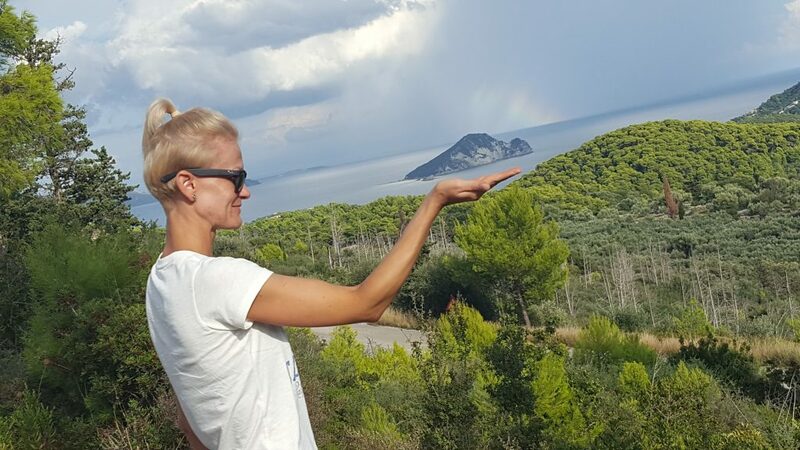 Yes, the same you can find in the Blue Lagoon in Iceland. The sulphur comes from the neighbouring caves, making it quite a unique spot. If you suffer from joint pain or arthritis, the water is said to have healing properties that can help to ease the symptoms. There is also small carpark and a little canteen if you fancy a quick lunch by the water. This is a location best visited in August or September, although it remains beautiful throughout the year. If you are searching for a romantic sunset location to take the one you love, this is it. There is nothing quite like watching the sun dive into the sea as it goes down to make way for the night, and in many ways, words cannot describe the sheer splendour of the experience. There are a restaurant and parking near the lighthouse. We recommend getting there a little early so that you can find a good spot to watch the show. 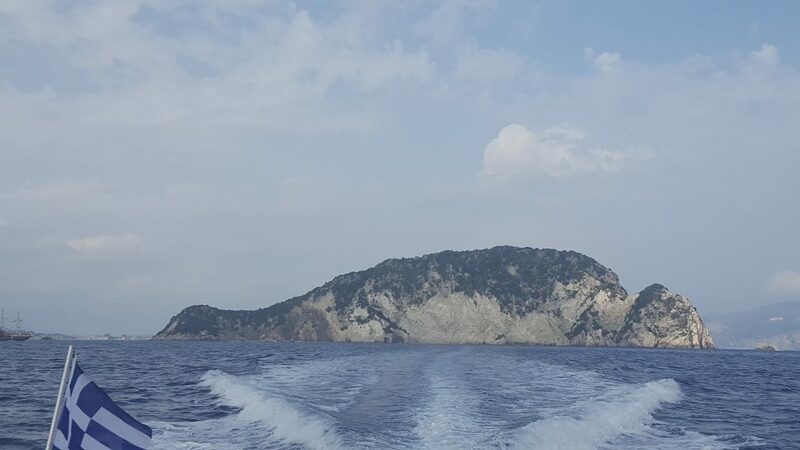 There are actually quite a few boat tours that you can take to see the Caretta Caretta Turtles in Zakynthos. But there is one outstanding, which was recommended to us – it’s Levante Speedboat Excursions with captain Spiros! He is a very reputable boat owner that respects marine laws and will not harass the turtles. The number of turtles is shrinking so they need to be protected. 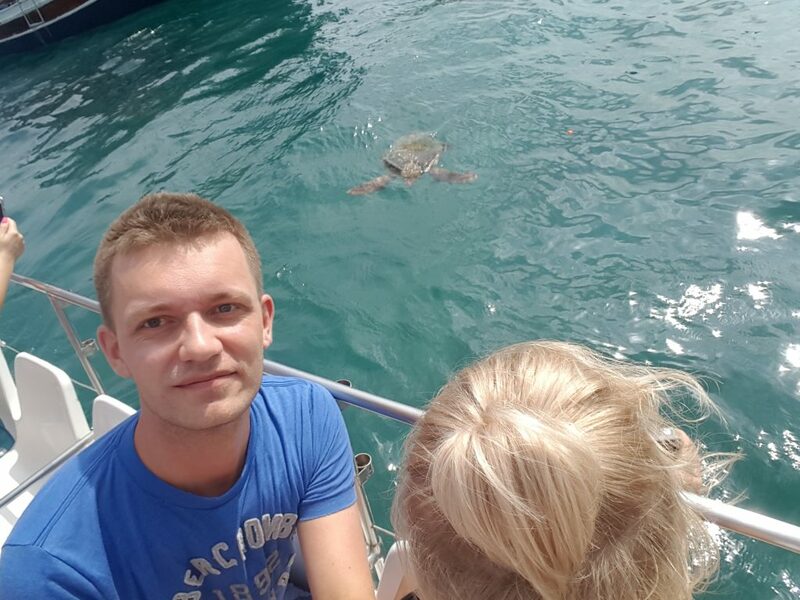 If you get the chance to see the Caretta-Caretta turtles, you will love this experience. 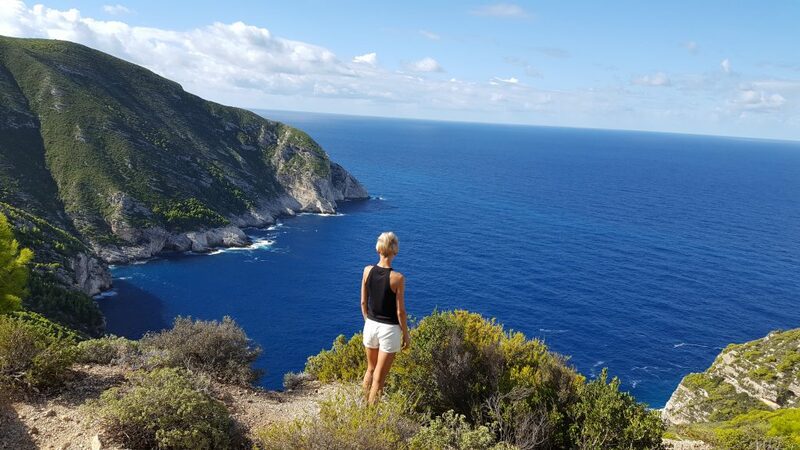 One of the best things to do in Zakynthos – it is so worth it! This little islet is the nesting grounds for the Loggerhead Turtle. The mystery that surrounds this little piece of land is part of what makes it such an exciting adventure. 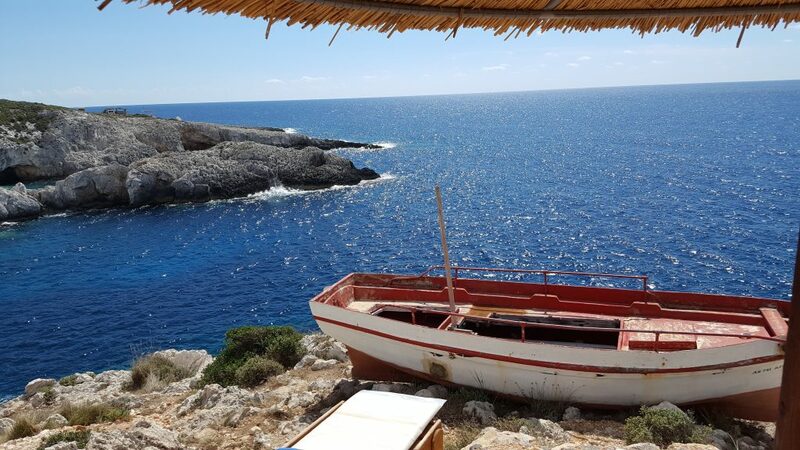 We really loved this place, which we visited with captain Spiros on the way to watch the turtles. A MUST have to visit while on Zakynthos. Seriously! 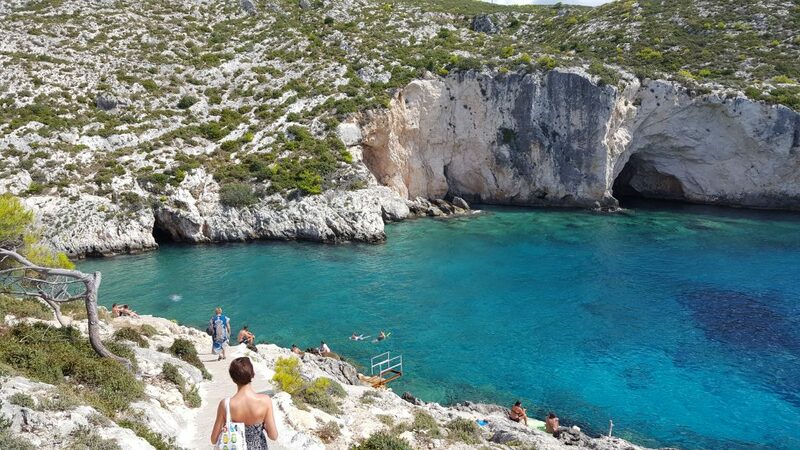 One of the best places to see on the island of Zakynthos. Make sure you check any restrictions before you take a boat trip there though, as it is a protected site. 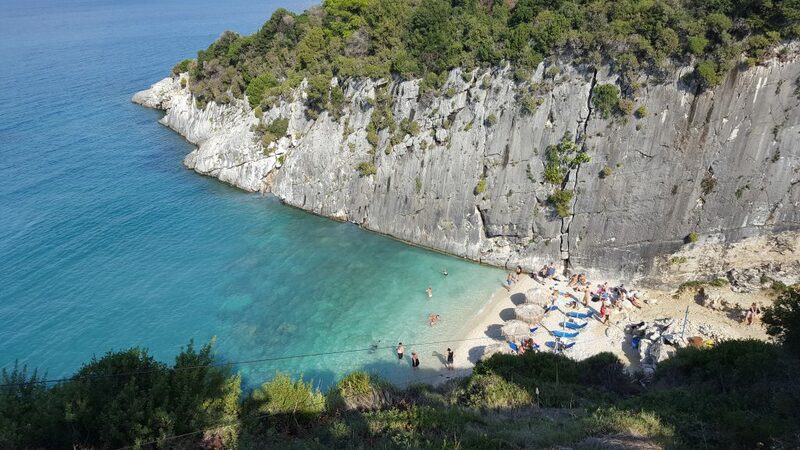 This southern beach is probably one of the most beautiful and exciting in Zakynthos. There are lovely cliffs which are made from clay. 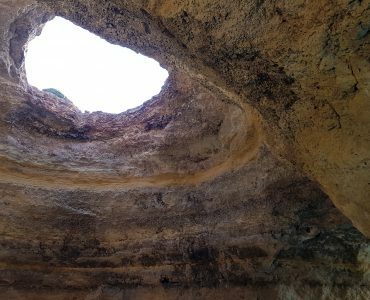 Between May and October, if you fancy getting up incredibly early, you might be able to get the chance to help the newly hatched turtles make their way to the sea. 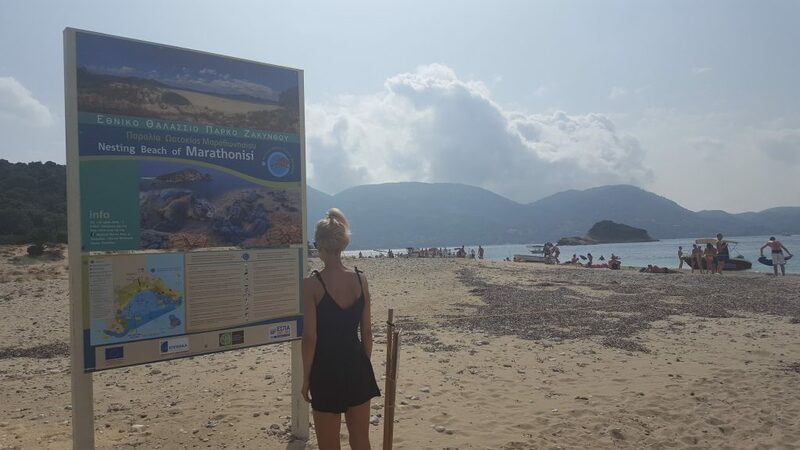 It is also a protected beach, and it is important to check the opening hours as there are some restrictions. This is a real hidden gem! 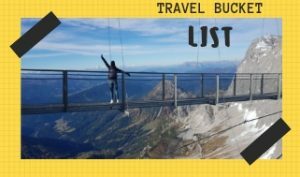 One that you definitely need to take the time to visit. If you are looking for a little time alone in a quiet location, this will be a perfect place for you. You will have to take a quiet backroad through a little town in the mountains to get to this secret place. The whole area is surrounded by wildlife and plants, so it looks really stunning. It is certainly worth visiting the little mountain town as well on your way to or from the area. 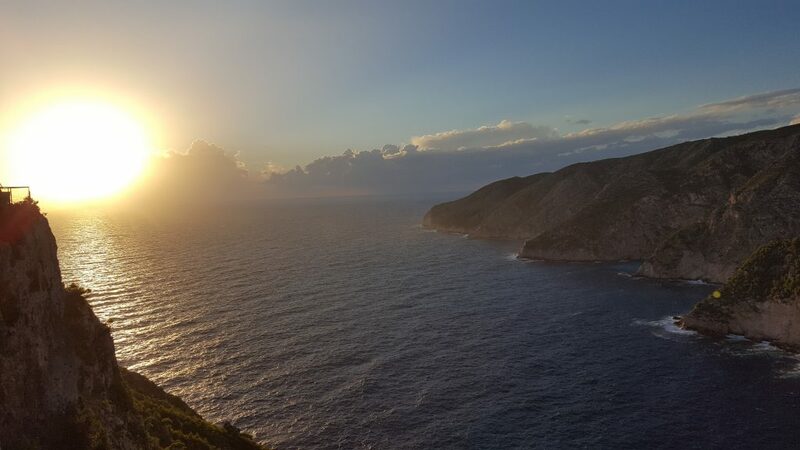 We have already mentioned that the Keri Lighthouse is a great place to watch the sunset on the island. 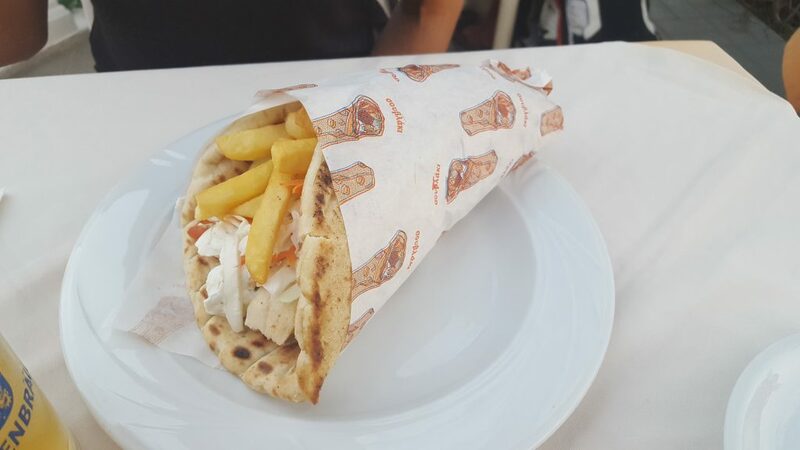 But there is one other that we would strongly recommend – and this time you can enjoy it with a romantic meal and some delicious Greek cuisine. The Cross Taverna and the Porto Schiza Sunset are the two best places to dine and watch the sun go down. It can’t get better than that! 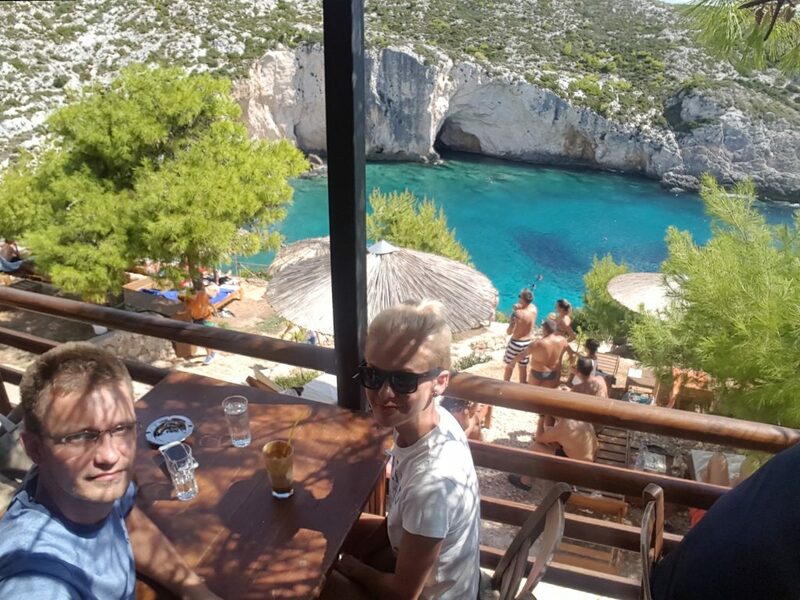 So, if you are searching for the best spot to watch the sunset in Zakynthos – head to Porto Schiza. It is a white pebble beach, and quite small, but absolutely worth it for the views. 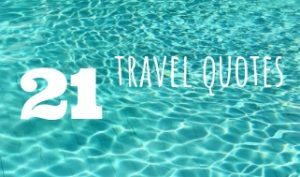 Plus, the water is so clear and cool you might be tempted to have a quick swim together; and you would be welcome too. It’s not a huge beach but the surroundings make this place very special. 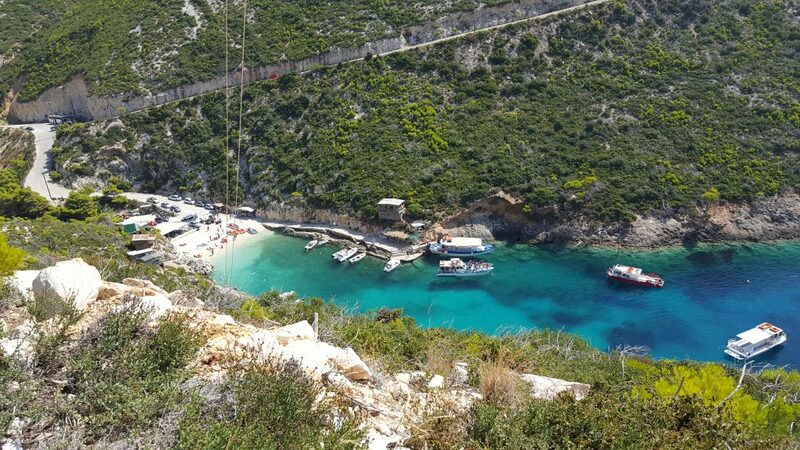 Make sure you add Porto Vromi to the list of trips in Zakynthos! There is a little canteen if you get hungry, as well as some lovely boat trips that you can take part in. 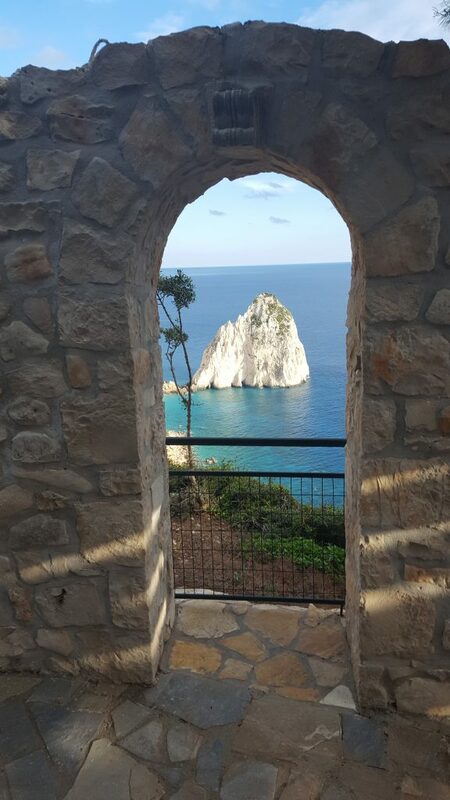 A driving trip around the island is the perfect way to really explore Zakynthos. 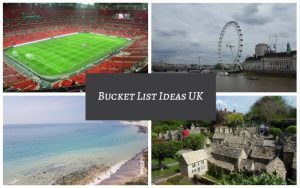 You can easily see the island in 4-5 days, and there are loads of great locations that you can visit – including each of the ones mentioned in this article. 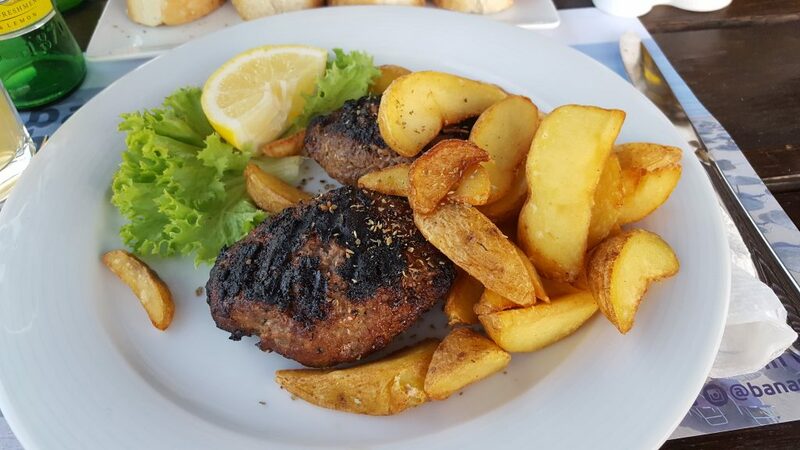 We would encourage you to try out the local cuisine – Zakynthos is filled with amazing Greek food! 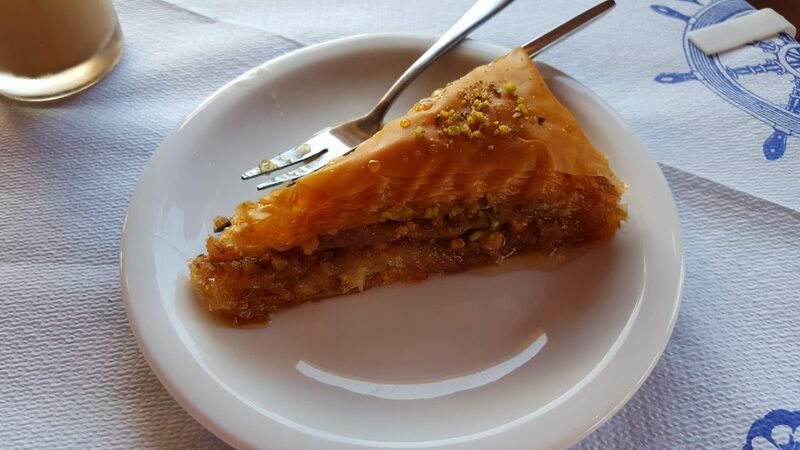 If you can find it, you should definitely pick up several boxes of baklava – the most delightful dessert/sweet treat around. This is another secluded bay. One that is not often directly advertised to tourists so it will be definitely less busy. The azure waters are incredibly welcoming! 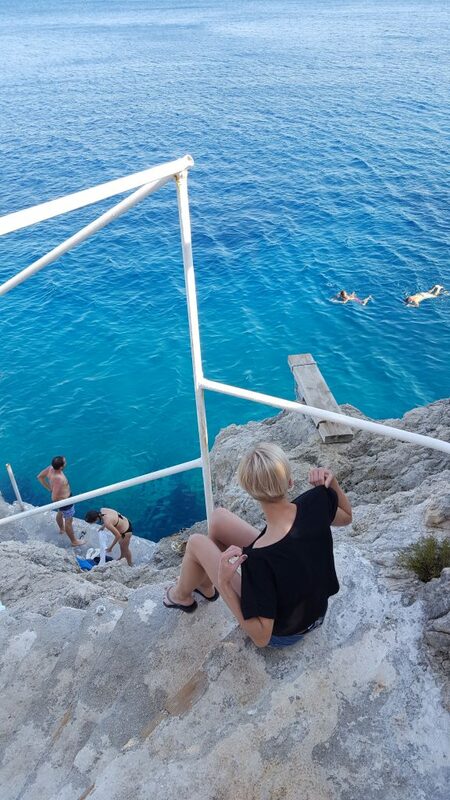 If you are up for it, you can use the springboard to dive straight in and enjoy the experience. Or just take a little walk – there is a path that leads straight to the edge of the water. With very few facilities nearby, it is the perfect occasion for a little picnic on the shore that the two of you can enjoy in peace and quiet. After dark is the best time to visit. 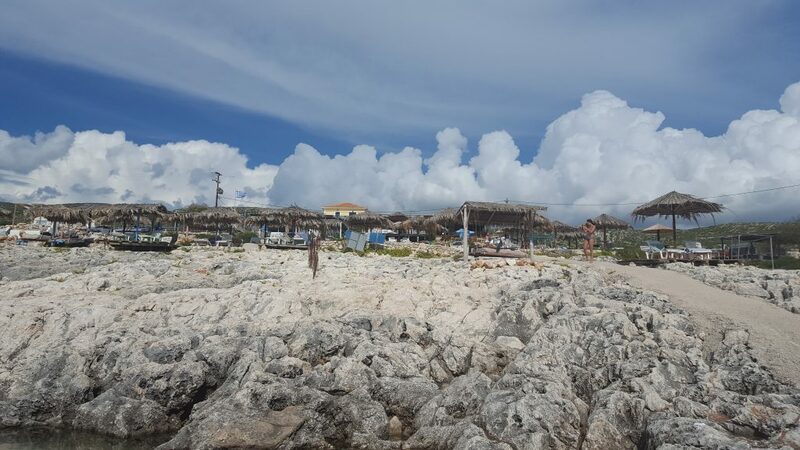 There is live music on the beach, colourful lights and an excellent bar that has a lot to offer. You may even get the chance to see some Loggerhead Turtles swimming around. 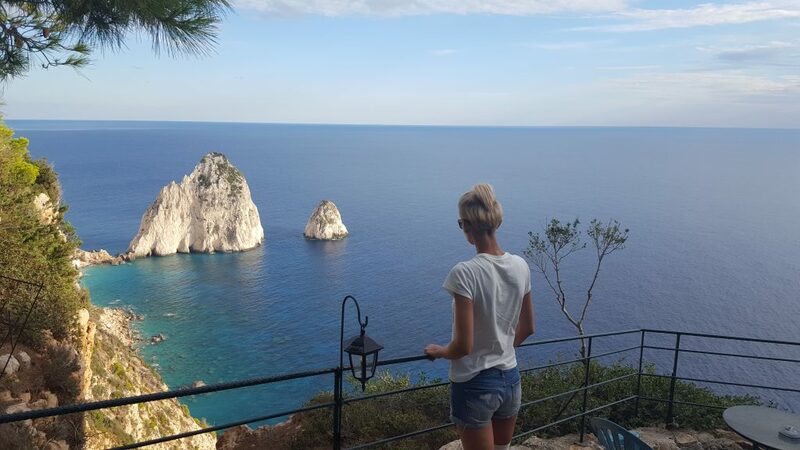 Are there any other things to do in Zakynthos? 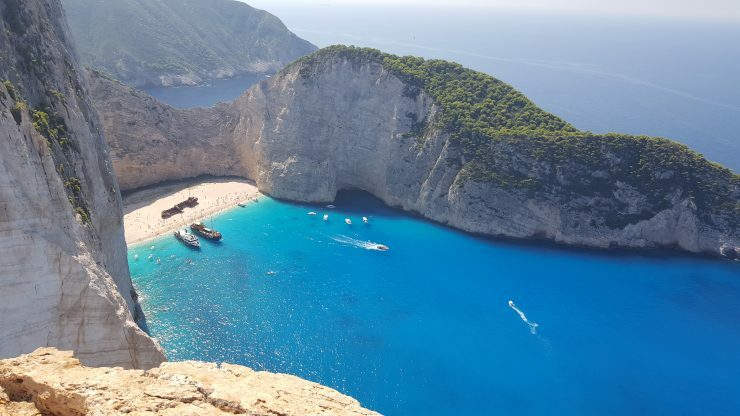 Zakynthos, and the entirety of Greece really, is a beautiful place to visit at any time of year. 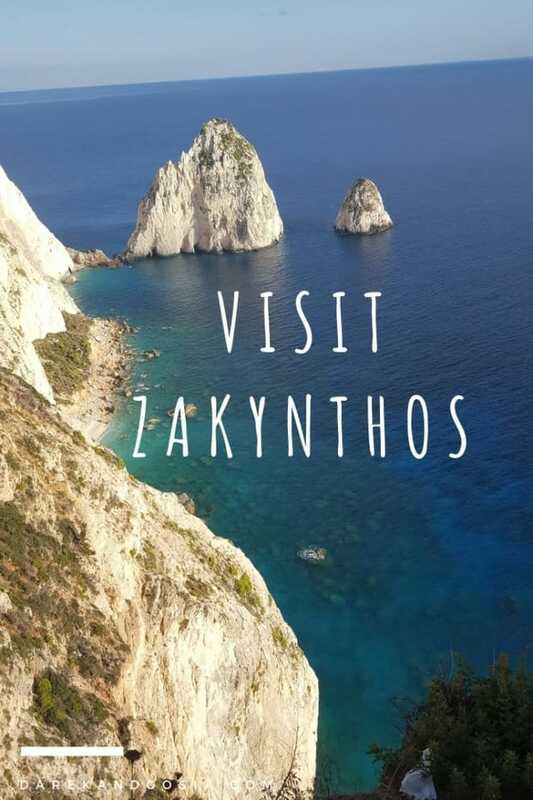 There is so much that you can do while you are on Zakynthos! The question is, how much time you have there?